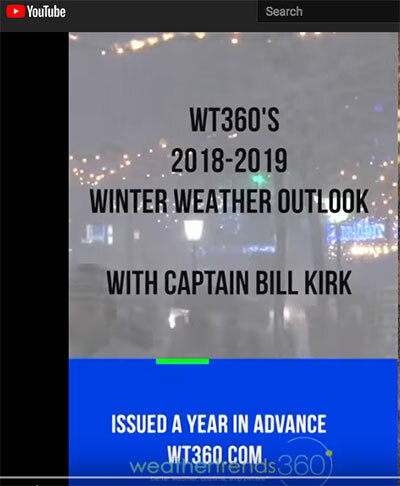 Captain Bill Kirk, CEO of the website weathertrends360.com, and his team of meteorologists boast an 84% accuracy rate for their short-term and year-ahead forecasts for temperature and precipitation. The site serves businesses looking to gain an edge on the weather and includes an impressive lists of clients such as Coke, WalMart, Golf Channel and Scotts. The site predicts the coming winter could be one of the coldest and wettest in recent years. (Based on the weather so far this winter and particularly this week the forecast looks to be accurate.) Their insights can also be important to smaller businesses and homeowners looking to get ahead of the coming weather this winter. Here at the Greenest Insulation Blog, we monitor seasonal trends on the CIMA website. As winter weather and snow sets in, the harsher it gets the more interest in insulation spikes. Typically, by the time the harsh winter weather wakes up those in need of improving their insulation, it can be too late to actually get improvements completed. Suppliers, and particularly contractors, get booked to capacity and those who delay spend a cold winter in a cold drafty home. Often, as people thaw out in the spring the fire goes out on making needed insulation improvements. And the pattern repeats itself in future weather cycles. Based on the WT360 forecast, CIMA predicts there will be heavier demand for cellulose insulation this winter and encourages anyone thinking of an insulation improvement project to act now. Don’t wait to see if Captain Kirk is correct. It will likely be too late to get it done if, in the very likely event, he has called it correctly. See the prediction by Captain Bill Kirk on his YouTube Channel. Then, find insulation contractors knowledgeable about installing cellulose insulation by using the CIMA Producer contractor referral service on www.cellulosel.org.